The X-Men movie was a blockbuster movie that has made the record for the special appreciation of the film viewers. 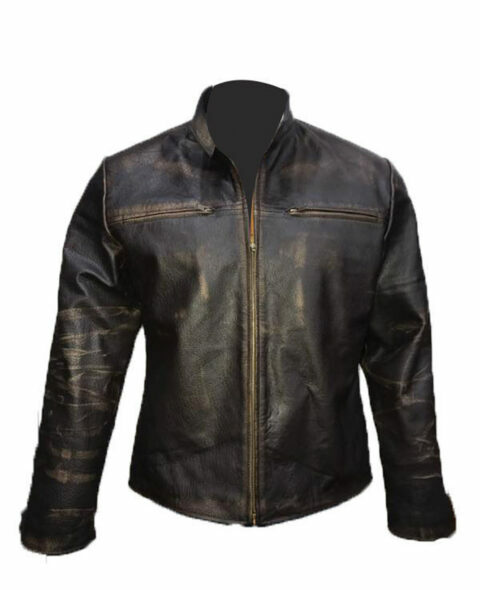 The Wolverine Brown Faux Leather Jacket is worn by the character “Wolverine” in the same film. After the release of the movie, the dress has become an essential part of the fashion industry. The outer shell of Wolverine Brown Faux Leather Jacket is made from genuine leather or faux leather. The color of the outerwear is brown that is most favorite color of youngsters. The dark brown strip designing is present on the endearing Wolverine Brown Jacket. The front zipper closure is for your easy wearing. The snap tab collar increases the charm of the dress. An unusual feature is that you will found two large side zipper designs. You have never been worn the same style outerwear before. The Wolverine Brown Jacket is very soft in wearing because of viscose inner lining. You will enjoy zipper cuffs in the jacket.